We have been providing our services for more than 30 years. Locally owned and operated, Vortex Maintenance is Commercial Janitorial & Facility Services Service with a personal touch. Known for its dependability and quick response to customer needs, Vortex Maintenance emphasizes safety and consistent quality of work in its performance of services. 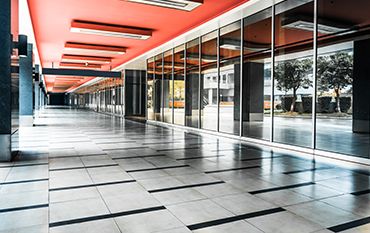 From 20,000 to 100,000 square feet, we can handle any sized commercial job! The treatment needed for different types of floors is very different. Slipping is a common safety hazard for cleaning methods that involve water or other liquids, especially if the floor is left wet. There are also a wide variety of floor cleaning machines available today such as floor buffers, automatic floor scrubbers and sweepers. 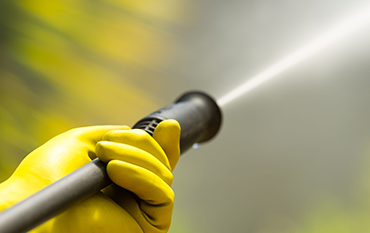 This service is used to make a deep and quick cleaning using high-pressure water spray to remove loose particles, paint residues, mold, dust, difficult to remove substances and in general the dirt of surfaces such as floors, buildings or concrete. We maintain one of the most stringent Quality Control Programs in the industry. Full-time, experienced supervision, with low supervisor to employee ratio. Periodic “white glove” inspections by top management. Employee signature on Quality Control Reports to insure good communication. 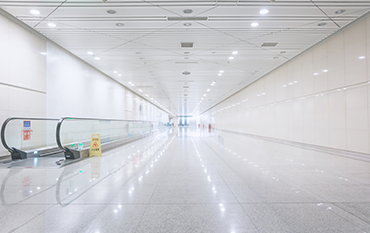 Staff are conscious regarding your building’s energy efficiency and minimum power consumption. Built-in employee incentives and recognition programs to encourage quality work. Counseling and disciplinary procedures are in place when required. Backlog of trained new employees permits smoothness of operations in servicing new clients or performing extra work. Employees are personally known to the owner and are pre selected and retained for their maturity and honesty in their work. SOME OF THE WORLD'S BEST JANITORIAL SOLUTIONS CONTACT US TODAY! The latest technology in the cleaning industry.